The AeroCal team have worked extensively within the Aerospace heat treatment industry for many years. We have managed to acquire an in depth working knowledge of the most widely used Aerospace sector technical specifications like AMS2750E, RPS 953 and BAERD GEN-007, amongst others. We have readily supported a number of our customers by being in attendance at the time of their NADCAP audits. 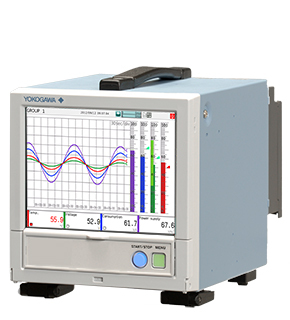 Our own portable calibration standards meet the requirements of a secondary standard as set out in table 3 of AMS2750E. This means we have the ability to calibrate our customers full range of instrumentation at their premises from controllers and recorders through to field test instruments used for system accuracy tests (SAT). We specialise in performing thermal uniformity surveys (TUS) to the most exacting standards. We cover the whole temperature spectrum from freezers through to ovens and furnaces including NDT ovens and paint booths. Our years of experience which encompass oven manufacture and control instrumentation installation has enabled us to excel in bringing failing ovens back within specification. Our ability to solve our customer’s problems is what sets us apart. We have a fast growing presence in a fast moving industry, whether it’s a biomass power generation plant or an energy recovery facility (ERF). We provide calibration and instrument services for the early stages of commissioning or planned shutdowns for maintenance. We are able to offer full traceability for a whole range of process instrumentation from pressure, flow and temperature sensors / transmitters through to control valves and loop checks. Our deliberately flexible approach to working means we can offer our customers the services they want, when they most need it. Having undergone formal training in addition to having gained a practical understanding of GMP/GLP from working on several projects, both long and short, within the Pharmaceutical industry makes us an ideal partner for your on-site calibration needs. Whether it’s a full environmental monitoring system (EMS) or an individual instrument, chamber or oven, we work in close partnership with our customers to ensure that the measurement techniques we employ and the certificates we supply are meaningful, fit for purpose and complement the customers’ quality management system (QMS). Our UKAS laboratory accreditation covers calibration of temperature equipment such as SAT testers, TUS recorders etc . We also offer additional traceable calibration of temperature sensors and thermocouples over the range -20 to 650 degC to AMS2750E and supply of calibrated cable coils. AeroCal Ltd are Crowcon approved calibration providers for fixed monitoring systems. Laboratory calibration of portable multigas monitoring devices such as the Altair 4. Durable multigas detectors that simultaneously measures up to four gases, oxygen, flammables, hydrogen sulphide and carbon monoxide. It provides an alarm to alert the user before the on-set of dangerous conditions. The detector is a perfect match for industries ranging from firefighting to welding. We supply and install control and monitoring equipment bespoke to each application. We manufacture and supply calibrated expendable SAT, Load or TUS thermocouples to AMS2750E requirements up to 600⁰C.